The Cheylesmore Community Library has been entered as one of the participants in the Aviva Community Fund! It’s a programme that gives out funding to projects that are making a positive change. If we win, we will be able to bring in more resources at the library, as well as organise more events for you! Last month marked a momentuous occasion when, after a few weeks of repairs, the Library reopened, and officially became part of the Cheylesmore Community Centre. As you know, the Library runs a number of fantastic free events for adults and children. We have created separate event pages for them on our Facebook, which you can view and state your interest here. We’ve been working towards setting up a café in our centre, and we’re happy to announce that the plans have moved onto the next stage. But we need your help! We want to make sure that we offer a menu you love, at the right price. To help us out, we’ve set up a little survey that you can fill out by clicking this link: https://www.surveymonkey.co.uk/r/H8VDJPB It will be of tremendous help, and we want to hear your opinions and preferences. We are happy to announce that, following a brief closure for repairs, the Cheylesmore Library is now open and being run by volunteers. The opening times are the same as before. The process has taken 14 months, but we are happy and proud that we have accomplished this. The ‘Official Opening Ceremony’ takes place on Saturday 30th September at 11.00am when the Deputy Lord Mayor cuts the ribbon of the new entrance into the Cheylesmore Community Centre. This is very exciting for all of us, as this will also be the first working day of the library as part of the Cheylesmore Community Association. The Deputy Lord Mayor will arrive in the library at 10.45am to talk to the volunteers, community centre personnel & Library Services personnel. The ceremony will be followed by the presentation of certificates to the children who took part in the Summer Reading Scheme. As of Monday 09th October 2017, the Coventry Credit Union will operate a collection point in the Cheylesmore Community Centre , every Monday between 11.30 AM and 1.30 PM. Committed to thrift, education and equality, the Coventry Credit Union’s mission is to make a difference to people’s lives. The team at the Cheylesmore Centre are happy to welcome them to our community, and hope local residents take advantage of this collection point. For more information, you can contact the Coventry Credit Union at 024 76 998099, or send them an email at coveastcu@googlemail.com. You can also read more about their services, mission, and values, on their website at www.creditunioncoventry.com. Does your daughter enjoy adventures, going on trips, and meeting up with friends? Are you looking to get her more involved with the local community? Have you considered signging her up for Rainbows or Brownies? The 41st City of Coventry South Rainbows and Brownies meet during term times at Cheylesmore Community Centre and have recently updated their system to make sign-ups easier. You can now contact the appropriate unit online and the group leader can get back to you to let you know when your child can start. Would you like to learn more about what Rainbows and Brownies do? 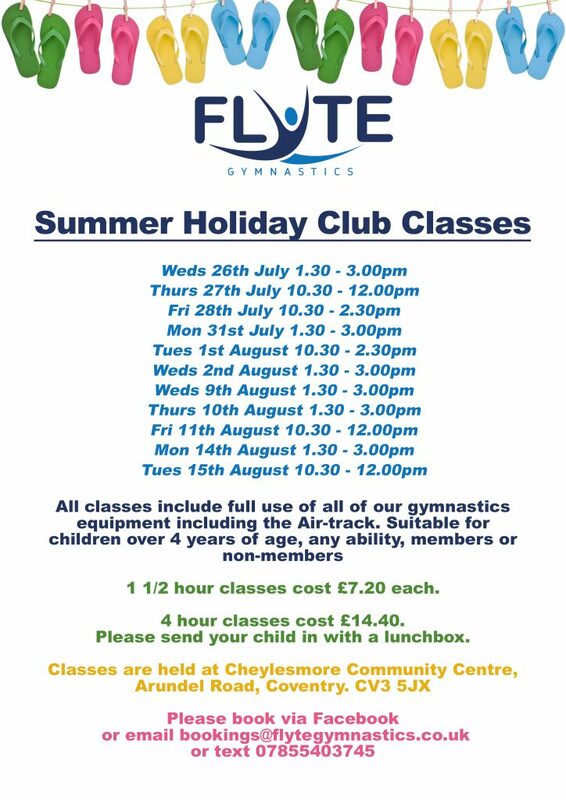 Check out the updated page on the Cheylesmore Centre website, complete with meeting times and prices. Are you ready to try something new this year? Have you wondered about practicing T’ai Chi? Coventry T’ai Chi will be doing a free demonstration at Godiva Festival, Sunday 9th July, from 12 to 5 PM. You can drop in and observe, or join them – all levels of ability and skill are welcome. Coventry T’ai Chi usually trains at Cheylesmore Community Centre, every Thursday during term-time, between 19.30 and 21.00. For more information, you can click here. To learn more about the demonstration at Godiva Festival, please get in touch with Martin at martin.mellett@gmail.com.